Prince William is flying off to the Falkland Islands today leaving Kate Middleton earlier than expected. William’s deployment is part of his training as a Royal Air Force (RAF) search and rescue helicopter pilot and its timing comes as a surprise to Kate. 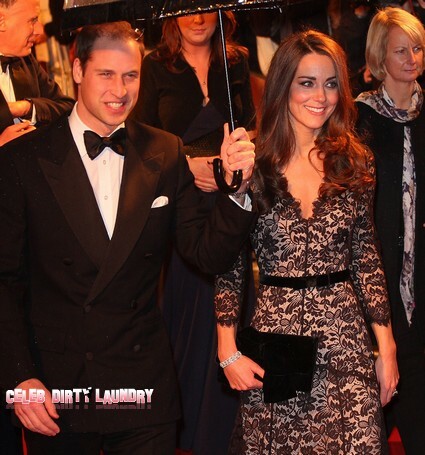 This separation is going to be the longest that William and Kate will have endured since their wedding in April 2011. Kate is “very supportive” of her husband’s military service and she has been preparing to function independently for a while now. One thing we know is that with the Prince’s absence Kate won’t be getting pregnant any time soon. Prince William will fly out from the RAF base Brize Norton in Oxfordshire this evening. While on the Falklands he will be crewing one of two search and rescue helicopters, which are on call 24 hours a day. The missions will fly out of a large British military base, 45 minutes from Stanley, the islands’ capital. William’s deployment is part of standard training for RAF search and rescue pilots. However, not everyone is happy with William’s trip to the islands. Although they have been classed as an internally self-governing British Overseas Territory, Argentina has claimed sovereignty resulting in a war between the two countries in 1982 which was eventually won by Britain. British Prime Minister David Cameron has recently blasted Argentinian officials for their renewed claims on the Falklands. We wouldn’t want the future King getting caught in action during the middle of an ugly war. Although such an outcome would certainly increase his popularity even more as it would Kate’s.